Become a Community Art Facilitator with the Butterfly Art Project by joining our free Community Art Facilitator Training. 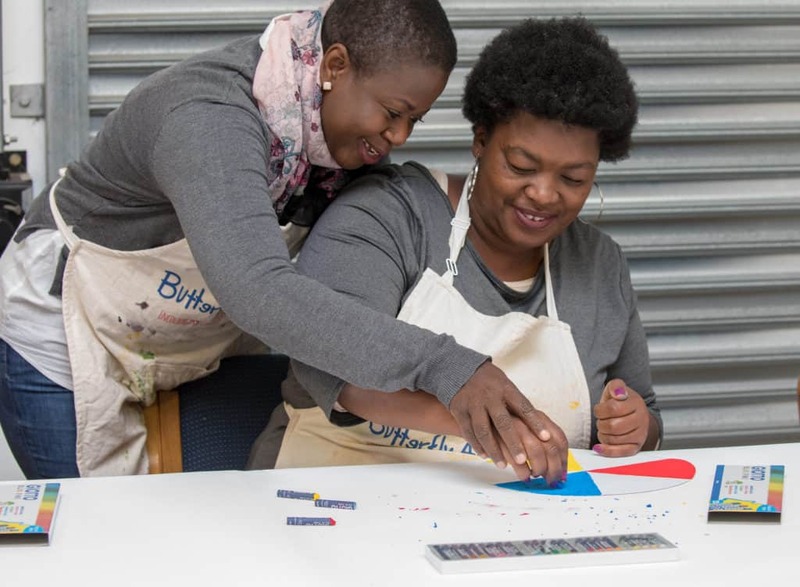 This prerequisite module introduces facilitators to four artistic mediums: clay, water colour paint, free drawing and mixed media which equips facilitators to develop lessons to grow resilience, concentration, social skills, interest in learning, confidence and fine motor skills within their own groups of beneficiaries. Participants will experience the mediums and gain facilitation skills to help work in their chosen community. The training is structured in modules themed for a specific artistic concept and consists of 8 sessions of 3 hours each. What are our ideal Candidates? Monitoring and evaluation of community work i.e. : Registration of participants being taught. Submission of portfolio of evidence (inclusive of learnings, lesson plans, artworks and photographic evidence) at the end of the module in order to graduate. Bilingual in English and another SA language. Excellent organizational and time management skills, with the ability to multi-task. Reflects and adjust appropriately to lessons learned. Believes that diversity is a strength. Believes in the healing qualities of art. Individual should be able to be independent, travel on his/her own using public transport if not mobile. Training dates: Training will take place once a month in 2019 from February and successful candidates will be contacted via email for the training.